DUBOIS – Two Birch Winery hosted an After-Hours event and red ribbon-cutting on Wednesday, Aug. 15. Shown are Jodi August, executive director, DuBois Chamber; Owners Toni Kulbacki, Aaron Kulbacki and Mike Kulbacki; and Dan Bowman, Downtown DuBois Revitalization Group manager. Not shown are Owners Michael and Meredith Kulbacki. 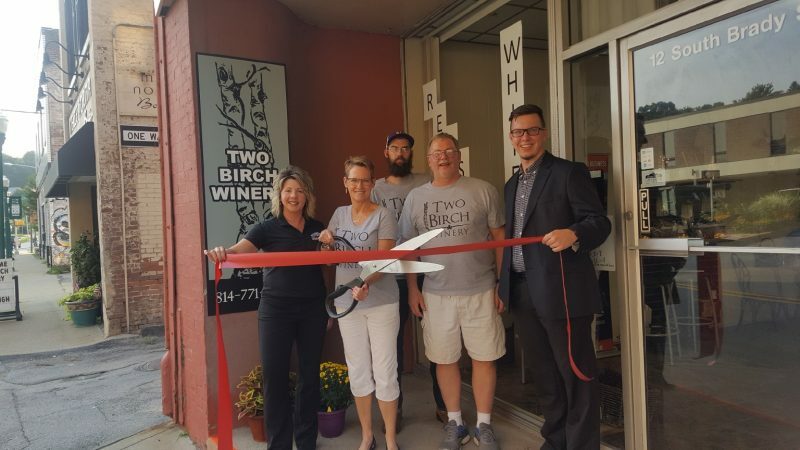 Two Birch Winery is a new business located in downtown DuBois next to Merle Norman Boutique at 12 S. Brady St.